In late November 2015 I attended the first Further Education and Training (FET) Conference hosted by ETBI. It was the first time since the creation of the ETBs and the launch of the ‘Further Education and Training Strategy 2014 – 2019’ that all ETB programmes were in one room. It was great to learn from colleagues from around the country about the work they do and the challenges they face. As you know ETBI is the national representative association for Ireland’s sixteen Education and Training Boards (ETBs). ETBs and ETBI came into establishment on 1 July 2013 and were formerly VECs and IVEA respectively. There was a lot of information circulated and many presentations. However one handout really grabbed my attention and I have attached it for your information. It is essentially a summary document describing Further Education and Training in Ireland today. 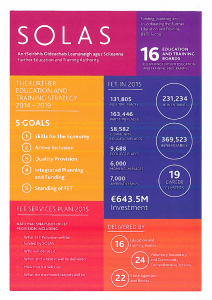 The first page outlines the 5 goals of the Further Education and Training Strategy 2014 – 2019, the numbers engaged in FET in 2015 and who is delivering. It was interesting to note that 369,523 people benefited from FET services in Ireland in 2015. The cost of this essential investment was €643.5 million. This shows that the FET sector is a significant sector offering real and valuable education and training routes to learners across the country. On the second page there is an outline of the types of programmes being delivered, the career clusters and what ETBI view as the important FET outcomes. I found it particularly interesting that of the 10 part- time programmes delivered nationally the Adult Literacy and Basic Education Programmes are responsible for 6 of them. This illustrates the number of choices that are available to learners in our programmes. I also believe that it is good recognition of the high levels of professionalism in the Adult Literacy and Basic Education Programmes and evidence that we are trusted to deliver these critical programmes. For all the statistics that are presented we all know that each one is a human story of achievement, persistence and hard work. It is great to see the role we play in the national effort to provide more high quality further education and training opportunities to learners who want to make changes in their lives and have more opportunities and chances. 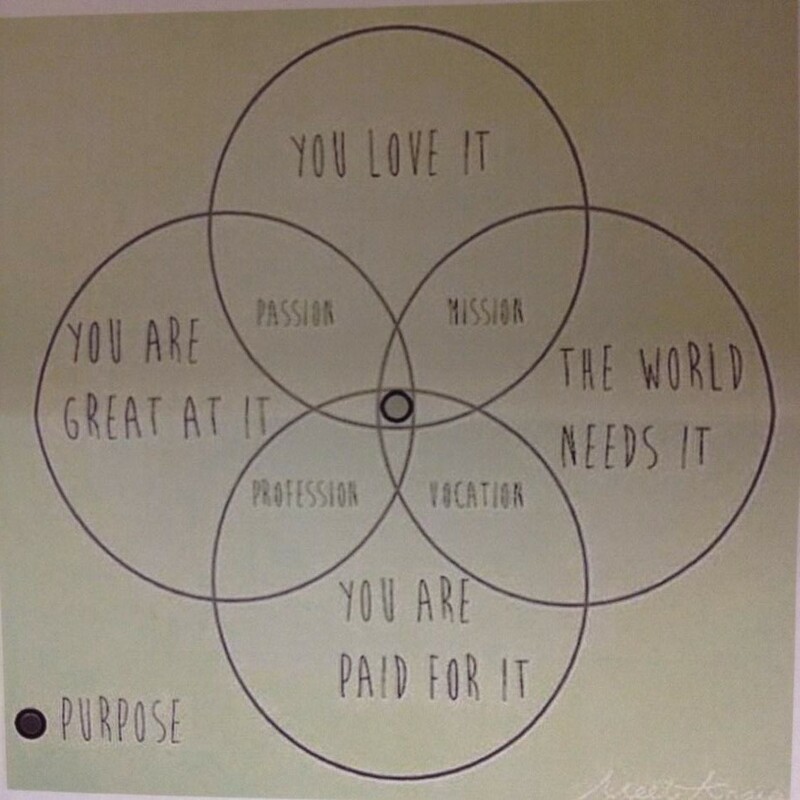 PreviousReflection on why we work in ABE?